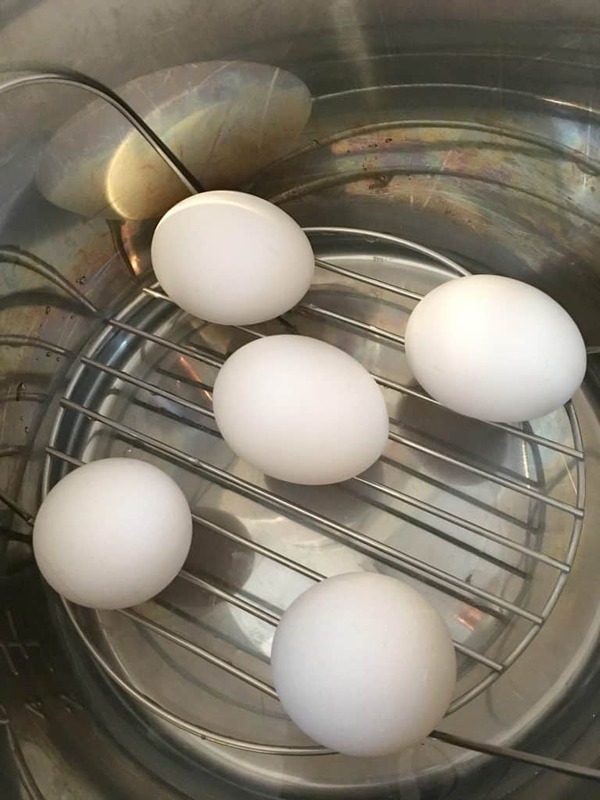 There are many methods for preparing hard boiled eggs, but making hard boiled eggs in the instant pot is easy and results in perfect, easy-to-peel eggs! I think hard boiled eggs are an underutilized resource in the kitchen. 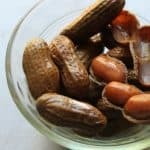 Not only are they an inexpensive source of protein, but there are so many things you can make with them. But getting perfect hard boiled eggs every time can be a little tricky. Don’t get me wrong–there are several techniques for making hard boiled eggs, and none of them are particularly difficult. The most obvious method is boiling, with different variations of that simple method. Some people keep the eggs boiling until they are fully cooked. Some people boil for a set amount of time, then remove from heat to allow the eggs to finish cooking, still in the water but off of the heat (this was my go-to method for quite a while). Then there are those who make their hard boiled eggs in the oven, which is a technique I have never tried. 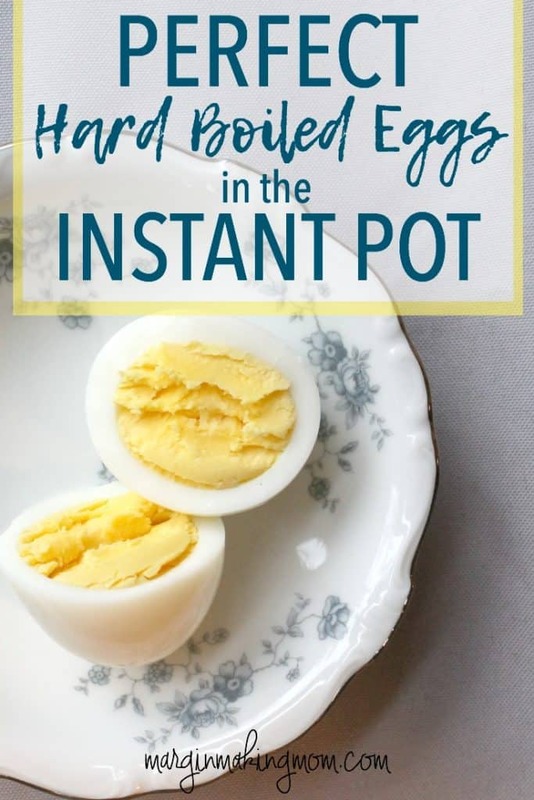 More recently, as I have been experimenting with my Instant Pot, I discovered how to make perfect hard boiled eggs in the Instant Pot pressure cooker. I must say, this is my favorite method, both for its ease and for the way it cooks the eggs perfectly every time. Now, I will admit that using the Instant Pot to make hard-boiled eggs doesn’t necessarily save time. It takes about the same amount of time to boil the eggs in a pot of water. But, I love the fact that this method is easy, mostly hands-off, and it results in eggs with a perfectly cooked yellow yolk–no green edges! I think this really is the easiest way to make hard boiled eggs. The other bonus is that these eggs are incredibly easy to peel. I’m not sure what it is about cooking them under pressure, but the shells just slip right off of them. 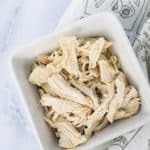 The process is super easy–place the trivet in your Instant Pot and add 1 cup of water. Place 5 eggs on the trivet and lock the lid, placing the vent to the sealed position. Using the manual setting, cook on high for 5 minutes. 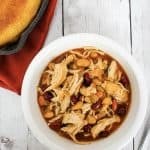 As soon as the Instant Pot beeps, indicating cook time is complete, turn off the Instant Pot and set a timer for 4 minutes. At the end of 4 minutes, perform a quick release of the pressure. Once the valve has dropped, use tongs to remove the eggs to a bowl of ice water to stop the cooking process. Once the eggs are cool, you can peel and use them for whatever you’d like! 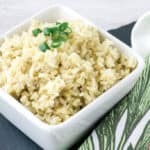 Egg salad, as an addition to potato salad or chicken salad, to make deviled eggs, as a topping for a green salad, or just plain with a bit of salt. 🙂 Being able to quickly prepare hard boiled eggs can can be a life-saver when it comes to last-minute mealtime prep! 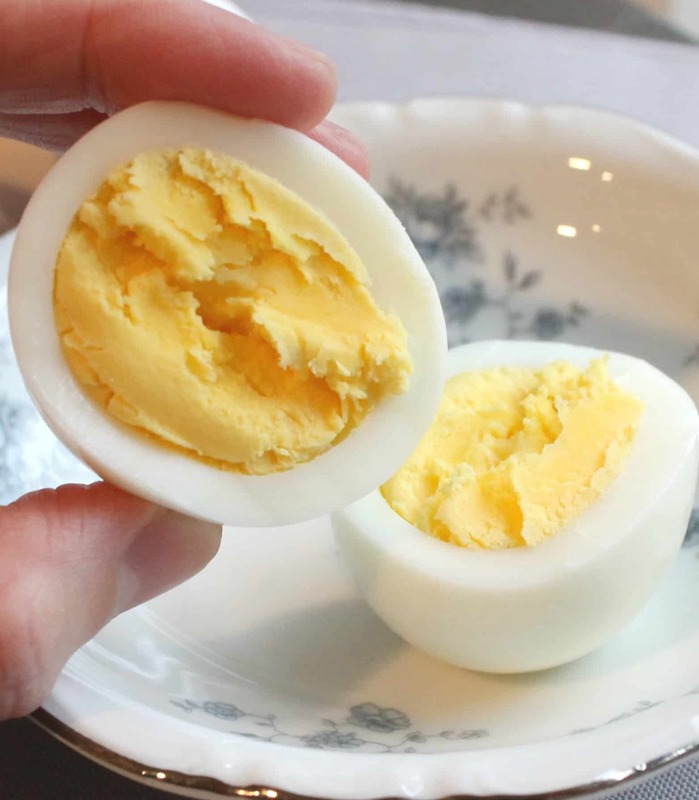 Have you made hard boiled eggs in the Instant Pot yet? What is your favorite way to use hard-boiled eggs? 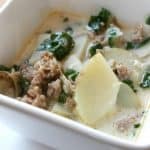 Place eggs on the trivet in the Instant Pot. Pour water into bottom of Instant Pot. Close lid and place vent to the sealed position. Using the manual setting and high pressure, select a 5 minute cook time. As soon as the cook time is complete, turn off the pressure cooker and wait 4 minutes. At end of 4 minutes, perform a quick pressure release. 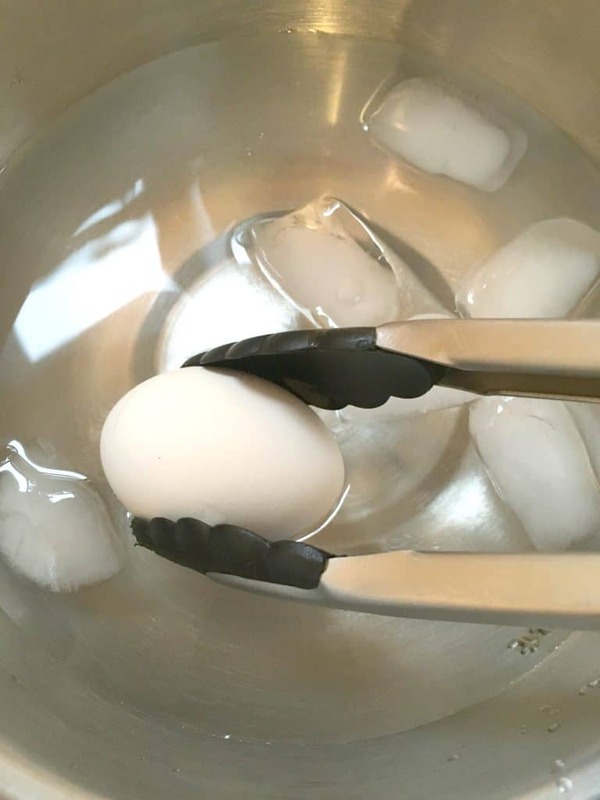 Once pressure is released, use tongs to remove eggs to a bowl of cold ice water to stop cooking. Once eggs are cool, peel and enjoy. Your eggs look AMAZING!! Do you think you could cook more than 5 eggs at a time and still get the creamy egg yolk results? I’m wondering if you experimented with more than 5 eggs? TIA! Thank you for the reply! Today, I placed as many as I could fit on my trivet (8) and they were fine! Yay! Thanks for letting me know. Glad it worked for you!